Christopher Miglino is chairman and CEO of SRAX (www.srax.com), a digital marketing and consumer data management and distribution platform company. He is also Founding Member of the company’s blockchain identification graph technology platform, BIG (www.bigtoken.com), which is the first consumer-powered data marketplace where people own, verify and sell access to their data. Christopher co-founded the company in April 2010 and has served as CEO since inception. 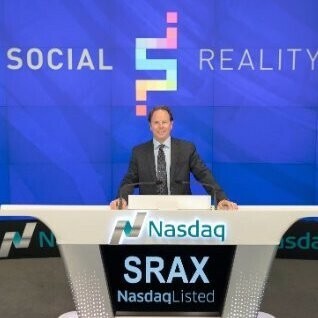 Under his leadership, Christopher took the company public on the NASDAQ, trading under the symbol: SRAX. Previously, he founded Conscious Enlightenment, Inc. and also served as its CEO overseeing the strategy and operations of the company’s Lime Advertising Network, Lime.com, Yogamates.com, The Enlightenment Card and Conscious Enlightenment Publishing, which prints magazines in Los Angeles, Chicago, San Francisco, New York and Seattle.